As discussed in our first part of this blog, there exists a number of incredible animals which help in the preservation of the environment. GreenPak Malta has compiled part 2 of the list of our furry and not-so-furry friends which help save Mother Nature. Man has long looked to its best friend for companionship and to lend a helping paw, or perhaps more precisely nose? And thanks to their heightened sense of smell, they can be trained to pick out plants and animals for further research and conservation. Our canine friends have been used for sniffing out drugs and bombs in special K-9 units of police for a long time. But did you know, they can also locate rare endangered plants and animals? As if we needed another reason to love these adorable canines! Undetonated land mines are not only dangerous, but can also be a serious pollutant. Luckily, just like dogs, rats can be trained to use their acute sense of smell to sniff out these dangerous explosives from the ground in war zones. Since this job might be too risky for humans, rats quite literally save the day and environment! 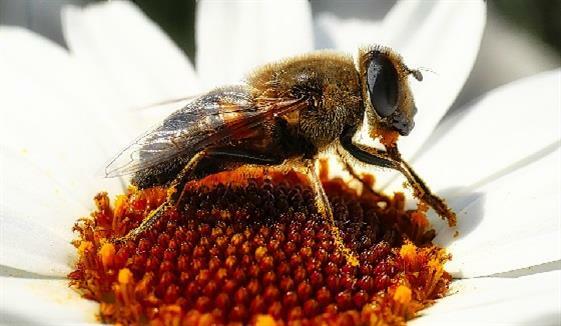 Bees are widely talented, having a sensitivity to smells, tastes and colours that would make any human green with envy. They’re also highly effective at communication, using sound and dance to send signals amongst themselves. What’s more, bees are responsible for pollinating all the plants around us, including close to a third of what we eat, as well as many common plants around us which cannot fertilise themselves. Turns out, these indispensable insects can even recognise certain kinds of chemicals and send off a buzzing sound, depending on the type of chemical released into the air. This helps humans notice toxic chemicals in the environment and could be valuable in detecting chemical warfare attacks. While it’s great that animals do their part to help the environment, it is really our duty as humans to reverse the negative imbalances we’ve caused in nature and its ecosystems, by trying to protect what’s left of our precious environment. At GreenPak, we’re doing our bit through recyclable waste collection and various initiatives that promote recycling in Malta. We encourage everyone to be join our mission to reduce the amount of plastic discarded into the world’s oceans and landfills. Follow us on Facebook and Twitter for more information on what we do and how you can help!